Sprayable Sleep Review- How Does It Work? Do you sometimes have trouble falling asleep at night? The answer is probably yes, and this usually happens because of the stress you experience throughout the day. In that case, you will need something really powerful that can provide you a good night’s sleep. As we already know, sleeping pills are harmful and contain too many unwanted substances, but do not worry there is a solution in the form of a spray! “Sprayable Sleep” is a new product of innovative company “Sprayable”, whose main role is to help people suffering from insomnia. 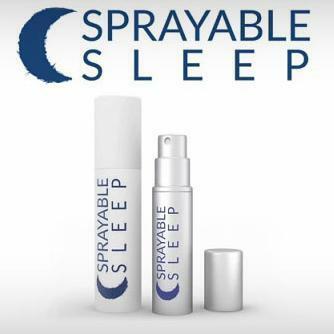 “Sprayable Sleep” comes in small 5 ml bottles and should be applied to the neck. Once the spray substances enter the bloodstream, you will, slowly but surely, start falling asleep. As one of the company employees claims, it is enough to spray it on your neck twice in order to achieve the wanted effect and sail into the realm of dreams. The spray contains distilled water as well as a hormone that regulates sleep and the level of melatonin in the body. The entire project officially started in February 2015 and the spray was expected to be available for sale in mid-February or early March. We have already mentioned that this spray is better than the sleeping pills, but what is the reason behind it?? The pills contain up to 300 times more melatonin than your body needs, so the enormous amount of this substance may lead to a prolonged sleep, the feeling of fatigue in the morning and may cause some unwanted side effects inside your stomach. The spray contains a small amount of melatonin, just as much as you need for a healthy and restful sleep. After you spray it on the neck, it takes about one hour for the skin to absorb the fluid, this way it enters your bloodstream and you start falling into a pleasant dream. During the evening, small amounts of melatonin slowly enter your blood, which provides you a nice and pleasant sleep. The companies representatives recommend that you should not use the spray more than 8 times a day, because each time you spray the content, it makes your body produce even more melatonin, which may lead to unwanted side effects. A standard 5 ml bottle of “Sprayable Sleep” costs US $15, and each bottle contains a sufficient amount of spray – exactly for spraying it 60 times, which will last for a month.